His heart stolen by a powerful pari's magic, a young prince's veins slowly fill with ice. That is what the stories say. Three years have passed since, and all efforts to save Ki?in have failed. He won't survive another winter. To save the prince's life, Razin, the court wizard and Ki?in's childhood friend, plans to seek out the pari. But unbeknownst to Razin, Ki?in's heart was never stolen; he gave it freely to escape the pain of impossible love -- his love for Razin. Razin won't accept Ki?in's fate, for reasons obvious to anyone who knows anything of love. Ki?in agrees to the desperate quest, out of duty and a need to protect Razin. They are soon joined by Ki?in's once-bethrothed, Lana, the daughter of the khan, who seeks to break the curse that has turned her into a beast. 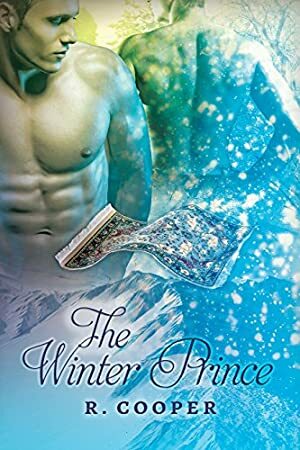 But it isn't long before Razin realizes saving his prince will require more than simply retrieving his heart. Razin will have to convince him to want it. Track It. This book has been $5.92 within the past year. This book was $8.37 when we started tracking it. The price of this book has changed 15 times in the past 1,161 days. The current price of this book is $6.73 last checked 3 months ago. This lowest price this book has been offered at in the past year is $5.92. The lowest price to date was $5.77 last reached on October 6, 2017. This book has been $5.77 one time since we started tracking it. The highest price to date was $8.37 last reached on November 22, 2018. This book has been $8.37 3 times since we started tracking it. We last verified the price of this book about 3 months ago. At that time, the price was $6.73. This price is subject to change. The price displayed on the Amazon.ca website at the time of purchase is the price you will pay for this book. Please confirm the price before making any purchases.